Vegan sauces, syrups and spreads are broad in that they include any sweet or savory, liquid or semisolid condiment that accompanies a dish. Examples include everything from caramel sauce to agave maple syrup to cashew cream cheese. I love caramel because it's the closest thing there is to food alchemy. Ok, maybe chocolate is close to this too but caramel involves a few basic non-exotic ingredients and a simple process. The end result is something that's truly extraordinary and more than the sum of it's parts. One of the great things about caramel is how you can just swap in certain fats and sugars to create caramels with amazing layers of flavors. The more I experiment with working with caramel this way, the more surprised I am. I've found that building rich vegan caramel flavors (and increasingly, most other vegan baking flavor building applications) works really well when there's a small amount of unrefined coconut oil supplanting the regular fats. 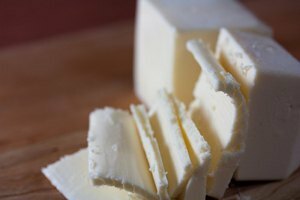 Unrefined coconut oil has naturally occurring compounds that mimic some of the flavors of dairy. As I developed this method further I found that a good rule is to use about 10% to 20% of the total fat consisting of coconut oil for optimum flavor. I've been using this in my latest caramels combined with vegan creams or non-dairy milk with great results. Bananas also have some of the flavor compounds found in dairy. What if I combined coconut and banana to use instead of a vegan cream and incorporated it into a caramel? In this Vegan Banana Caramel recipe, the vegan cream is swapped out for banana purée and unrefined coconut oil. It's the most simple caramel I've ever prepared and one of the most seductive. The banana, coconut and caramel combine to make something truly special. 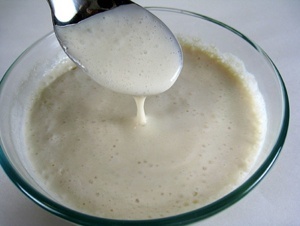 You should be able to reduce the banana and coconut oil slightly to get a more firm caramel if you prefer. I recommend using a squeeze bottle with the top cut slightly bigger than normal for convenient application. This is the perfect caramel for anything from apple pie, vanilla ice cream or any other dessert you want to bring to the next level. Have you ever gone apple picking and brought back pounds of fresh apples with high aspirations only to watch helplessly as your prized stock slowly breaks down as you're just too busy to commit to making all the Apple Pies, Apple Turnovers, Apple Cider Doughnuts and Apple Strudel? This happened to me recently and as I was opening the compost bin of shame my friend Dan mentioned, "you know, my Mom uses the soft apples for apple sauce and it comes out awesome!" This sounded really interesting to me but I still didn't have time. 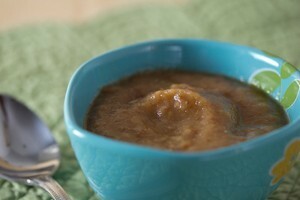 So why not combine these soft apples with this lack of time and make a quick and easy applesauce? 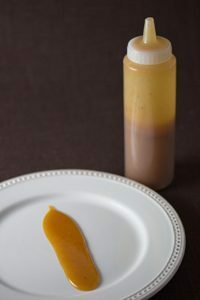 Where Easy Vegan Caramel Sauce is good for a quick caramel fix, Vegan Golden Caramel Sauce is the no-holds-barred recipe where flavor and consistency are top priorities. 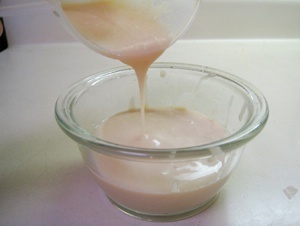 Traditional caramel sauce relies on heavy cream which allows the sauce to be thick and rich due to the solids present in the cream. This vegan caramel sauce recipe relies on cashew cream to supply the extra cream factor and solids, resulting in a silky smooth golden caramel that's perfect for drizzling on ice creams, baking into pies or tucked into brownies. Substitute the vanilla extract for bourbon, rum or brandy if you want an extra layer of flavor complexity. 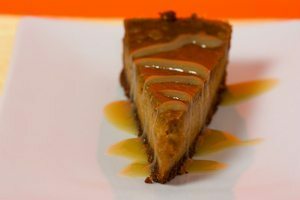 Use this Easy Vegan Caramel Sauce recipe to bring another dimension to vegan cheesecakes, ice creams, pies, brownies or pretty much anything. Caramel is one of those rare taste miracles that's in the same realm of chocolate sauce and maple syrup; it would probably make cardboard taste delectable. It's liquid gold. This is an easy to make sauce that utilizes coconut cream for rich flavor. Coconut contains flavor compounds called lactones which are among the same compounds that give dairy products like cream their signature flavors. Want to turn up the flavor level to eleven? Replace the vanilla extract with 1 Tablespoon bourbon, rum or brandy. Apple butter varies from apple sauce in that apple sauce is just puréed apples with some spice and sweetener optionally added. 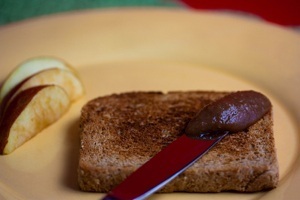 Apple butter has a bit of a cult following because it more accurately captures the essence of the apple. It consists of a spiced apple sauce that's cooked down for several hours so the sugars caramelize, preserving the mixture in the process. Cooking the mixture also produces more complex flavor compounds, activates naturally occurring pectin so it gels and reduces it so it's more concentrated. The result is rich, creamy apple heaven. Fall apple perfection captured in a jar. 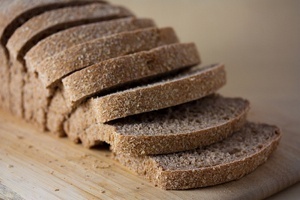 You can make a large batch from this recipe and can it for future use or spread it immediately on toast, pancakes or use for anything where you would use fruit preserves. One of the best parts of growing up was waking up to the aroma of Dad's legendary pancakes every Sunday. After gorging on them doused with maple syrup, the fam and I would go hiking on Mt Tam. Like clockwork, I'd eventually proceed to have an enormous mysterious energy crash that would reduce me into a quivering mess that Mom would call the shakes. I later found out this was because the maple syrup I loved so much was causing my blood sugar to peak, then crash due to its high glycemic index. Now I'm a lot more careful by making sure that I get some veggie sausages and go easy on the maple syrup. 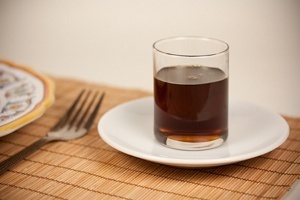 Agave syrup has a significantly lower glycemic index than maple syrup. 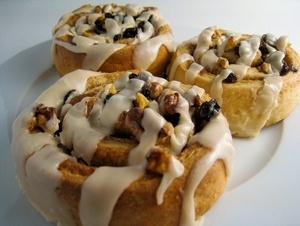 Adding maple extract to it makes it a delicious maple syrup substitution, as shown in this recipe. Check out our article on sweeteners and glycemic index to see how different sweeteners stack up. There's no such thing as a drop-in replacement for cream but this Vegan Cashew Cream recipe comes pretty close when you need it for a substitute for baking. It can be used as a vegan base in custards, ice creams, sauces, cakes or anywhere else you'd like to add richness. 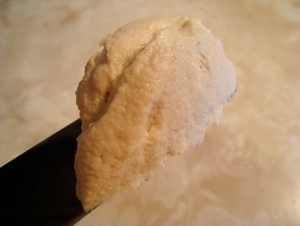 Cashew cream is also soy-free and can be made raw if you obtain raw ingredients. There's no such thing as a drop-in replacement for cream but this Vegan Soy Cream recipe comes pretty close when you need it for a substitute for baking. It can be used as a vegan base in custards, ice creams, sauces, cakes or anywhere else you'd like to add richness. Don't get me wrong, I love vegan cream cheese alternatives from companies like Tofutti. It's just that I've been wanting to have an option for something that's a little more natural. Creamy Vegan Cashew Cream Cheese doesn't taste like cream cheese as much as some of the space age alternatives but it's close enough for me. 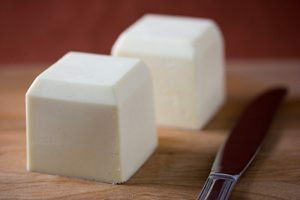 Keep in mind that if you forego using the xanthan or guar gum in this recipe it won't be as creamy. It's use is recommended- we're trying to emulate lactose here so we need all the help we can get. 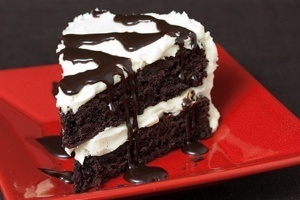 This seductive Vegan Double Chocolate Sauce is perfect drizzled on ice cream, cake or pretty much anything else. It's chocolate sauce. What could it possibly not be good on? 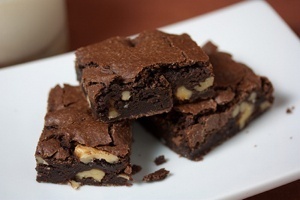 This recipe uses the tried and true formula of semi-sweet chocolate, cocoa powder and espresso powder to bring out the most complex chocolate flavor possible. 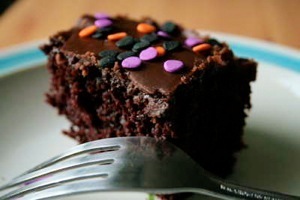 Pictured on Vegan Double Chocolate Cake with Rich Vegan White Chocolate Frosting. 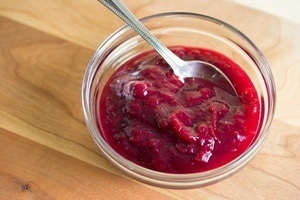 This Cranberry Sauce recipe is enhanced with a touch of orange juice and ginger. It's tart and sweet flavors contrast nicely with a slice of savory Stuffed Seitan. Almost any vegan non-dairy milk can be condensed with this recipe such as soy, rice, nut or coconut. 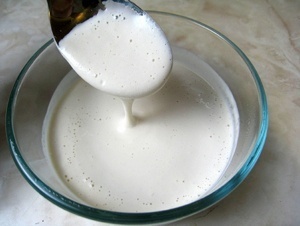 Making vegan condensed non-dairy milk involves adding sugar and reducing it to about half its original volume. This can take several hours and can be inconvenient if you need it for a recipe. 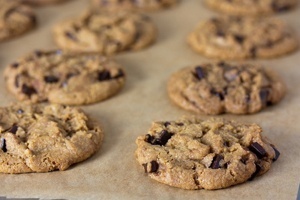 In this case be sure to make this beforehand and store it in the fridge so you have it handy on bake day. 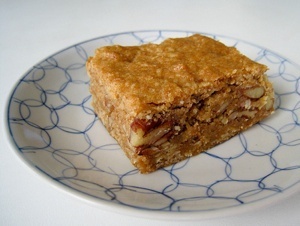 The effort is well worth it, especially if you're making Chocolate Coconut Magic Bars or Dulce de Leche.